Sunrise, FL – Nov. 7, 2017 – U.S. 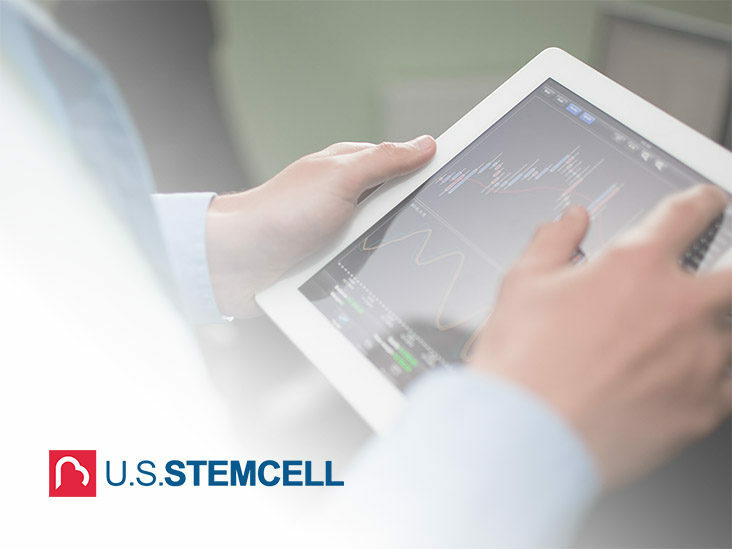 Stem Cell, Inc. (OTC: USRM), international leader in the development of proprietary, physician-based stem cell therapies and novel regenerative medicine, today announced financial results for the three months ended Sept. 30, 2017. Revenue increased significantly for the quarter, up 106 percent or $730k from the same quarter last year to $1.5m. Likewise, for the nine months ended Sept. 30, 2017, revenue also increased 92 percent from $2.1 to $4.04m for the same period last year. Net increase in gross profits also increased to $1m, a 158 percent increase from the same quarter last year. Net increase in gross profit also increased 102 percent or $1.4m for the same period in 2016, to $2.8m for 2017. Cash from operations also increased for the nine months ended, up more than 1004% from negative $113k in 2016 to more than $1m in 2017. Cash from operations was also up for the three months ended 2017, an increase of more than 368% in 2017, totaling $240k, compared to $52k for the same three months in 2016. On Sept. 1, 2017, the State of Texas joined more than 30 other states by passing HR 810 — a ‘right to try’ law allowing Texans to choose medical procedures like stem cell treatments for certain severe chronic diseases and terminal illnesses that have historically been considered more ‘experimental.’ This legislation paves the way for patients living on borrowed time, that are severely debilitated, or in extreme pain due to an ailment. As more states join the ranks in approving right-to-try laws, USRM will continue to leverage these legislated opportunities. USRM also strengthened its balance sheet this quarter by converting outstanding debt into equity, an indication of debt holders’ increased confidence in the Company’s ability to enhance shareholder value through operations. In order to facilitate the debt conversion, on Aug. 31 USRM filed an 8-K with the U.S. Securities and Exchange Commission (SEC), executing a debt restructuring agreement with Hunton & Williams LLP. As a result of the conversion, USRM facilitated a debt reduced of $393k. The deal freezes interest payments the Company has on two outstanding notes from 2009. A copy of the SEC Form 8-K filing is available here. Operating expenses rose 47 percent, due to a combination of factors including a 103 percent increase in depreciation and one-time costs association with operations including stock-based compensation as a result of the debt reduction and performance bonuses. Loss from operations decreased $336k from $1.3m in the nine months ended Sept. 30, 2017, compared to $957k for the nine months ended Sept. 30, 2017. Likewise, long-term debt made a slight increase, mostly due to terms of the sale-leaseback. U.S. Stem Cell, Inc. is an emerging enterprise in the regenerative medicine / cellular therapy industry. We are focused on the discovery, development and commercialization of cell-based therapies that prevent or treat disease by repairing and replacing damaged or aged tissue, cells and organs and restoring their normal function. We believe that regenerative medicine / cellular therapeutics will play a large role in positively changing the natural history of diseases, ultimately, we contend, lessening patient burdens, as well as reducing the associated economic impact disease imposes upon modern society. Our business, which includes three operating divisions (U.S. Stem Cell Training, Vetbiologics and U.S. Stem Cell Clinic) includes the development of proprietary cell therapy products, as well as revenue generating physician and patient-based regenerative medicine / cell therapy training services, cell collection and cell storage services, the sale of cell collection and treatment kits for humans and animals, and the operation of a cell therapy clinic. Management maintains that revenues and their associated cash in-flows generated from our businesses will, over time, provide funds to support our clinical development activities as they do today for our general business operations. We believe the combination of our own therapeutics pipeline combined with our revenue generating capabilities provides the Company with a unique opportunity for growth and a pathway to profitability.